Dr. Bonnie Baldwin built her private practice on a commitment to patient education. As early as the initial consultation Dr. Baldwin provides information that goes beyond simply recommending a surgical treatment plan. She believes communication between the doctor and patient is essential to determine appearance goals and concerns, that can then be addressed through aesthetic plastic surgical procedures. 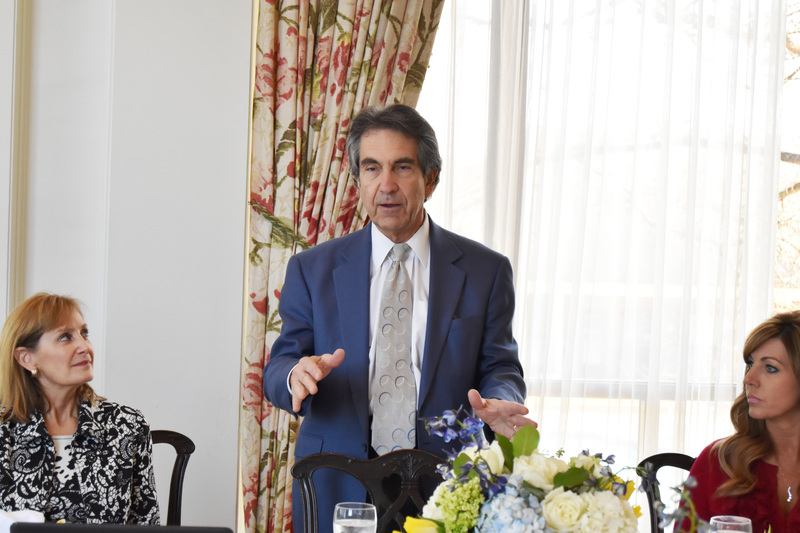 We had the great pleasure of introducing Dr. Bob Hamas to a select group of women for a luncheon held at the Houston Country Club. 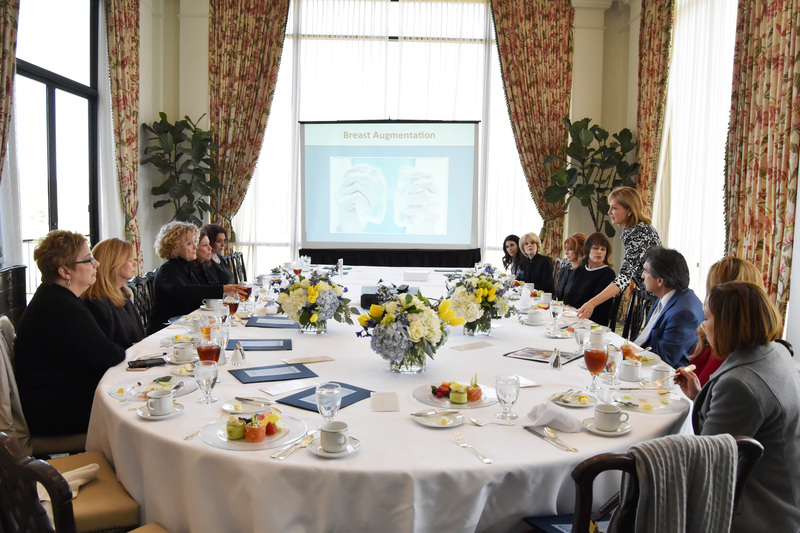 The purpose of the luncheon was to discuss the newly released Ideal Breast Implant. Dr. Hamas, a Dallas plastic surgeon, has been working for over 10 years on the design and production of this new saline filled breast implant. The beauty of this implant option is that the Ideal Breast Implant has a more natural feel than the traditional saline filled implant. Dr. Hamas is a strong advocate for the benefit of ‘no silent rupture’ – meaning when the shell of the breast prosthesis eventually wears out, a woman knows right away with a saline implant, and does not have to wait for her annual mammogram to be alerted to the issue. 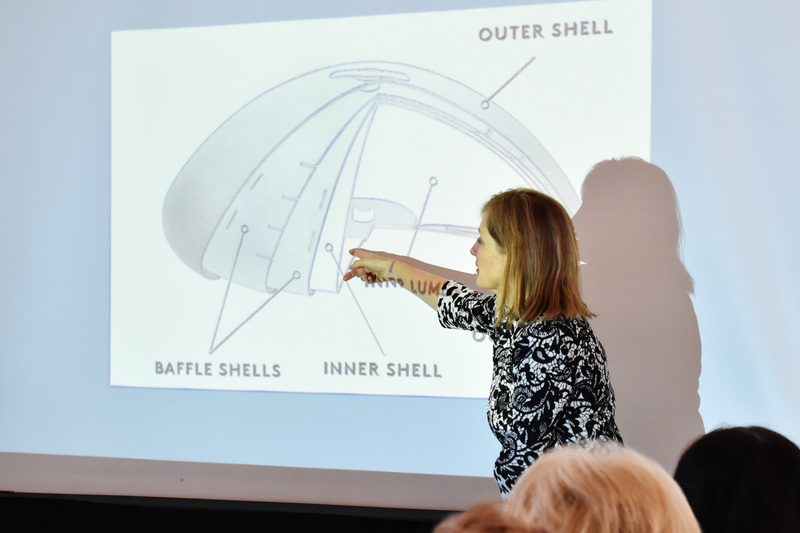 The format was informal with plenty of questions and opportunities to touch the Ideal Implant and compare the feel to a silicone filled implant. The breast implant was actually developed in Houston Texas – by two Houston plastic surgeons! The original breast implant was filled with silicone, and then an additional saline filled implant was introduced. Dr. Baldwin was chosen by Dr. Hamas to be involved in the first clinical trials. The Ideal Implant was FDA approved as an option for all women in September, 2015. Dr. Baldwin has patients who have had this new implant for over 5 years with no issues or regrets. The luncheon was a wonderful educational event for friends, patients and potential patients. Please check out our earlier posting on the “What’s New’ site to learn more about the Ideal Breast Implant. Also, please let us know if there are topics you would like to see presented in a future ‘lunch and learn’ setting. Our practice is dedicated to educating interested individuals about topics related to aesthetic plastic surgery.